TESY is the largest Bulgarian and one of the leading European manufacturers of electric storage water heaters, indirectly heated water tanks and electric heating appliances. For its production of electric storage water heaters at the factory in Shumen, the company has built an innovative, highly efficient and environmentally friendly production of plastic parts, guaranteeing for the high quality of the final products. 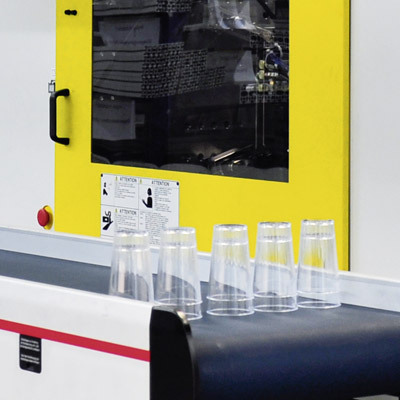 After extensive research and detailed analysis, TESY decided to invest in two machines FANUC ROBOSHOT – a fully electric injection molding machines with clamping force of 350 tons. With the implementation of FANUC’s industrial equipment, the Bulgarian manufacturer TESY manages to reduce the costs of manufactured parts, to decrease the technological waste and energy costs, to achieve a consistently high level of quality and repeatability of manufactured parts, and last but not least – to improve the working environment, thanks to the low noise levels of the machines. TESY is part of Ficosota Holding and has five factories on the territory of Bulgaria. The company sells its production in more than 50 countries on 4 continents, with TESY’s annual turnover for 2017 amounting to nearly EUR 60 million. The company’s production program includes electric water heaters with capacity from 6 to 150 liters, panel convectors, oil-filled radiators, high-quality enameled indirectly heated water tanks and buffers of 160 to 2000 liters. The company continues its development by increasing its production capacity and launching new product lines in the HVAC industry. “What we needed was a highly efficient solution in order to increase our capacity in the production of plastic parts, incorporated in our assembled products,” said Mr. Desislav Dimitrov, Project Manager Strategic Investment and Development at TESY. The Bulgarian manufacturer recognizes the right provider in the face of FANUC as early as the study process, finding the solution, which perfectly meets the production goals and needs of the company — the series FANUC ROBOSHOT a-S300 iA with a clamping force of 350 tons. “We chose FANUC mostly because unique machine, which has no analogue among the rest of the world’s manufacturers in this class of machines. A very important condition for our final decision was the fact that we have been given the opportunity to test the offered machines with our own material and staff, that has practically convinced us of the excellent qualities, functionality and efficiency of the machines,” says Mr. Dimitrov. 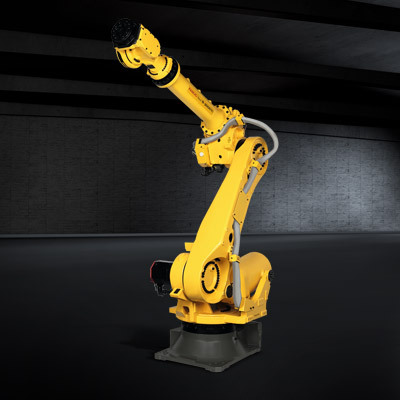 “FANUC ROBOSHOT a-S300 iA, with a clamping force of 350 tons, is an injection molding machine equipped with a fully electric (servo) drive of all the machine axes. This, combined with a precise CNC control and FANUC additional systems, has helped us to achieve over 70% more energy efficiency compared with the hydraulic machines, we have been working with so far,” stated Mr. Desislav Dimitrov. The benefits for TESY in the implementation of FANUC ROBOSHOT machines are not limited to the substantial reduction of the electricity costs in the production process. “After the ROBOSHOT machines were implemented, it was clearly seen that the achieved results completely overlap the data from the preliminary talks and the ones indicated in the offer. We have achieved a much faster production cycle, resulting in over 50% more capacity on these machines. The extremely low noise levels of FANUC’s electrical machines have led to a significant improvement in the working environment in the production hall, with all of this as a part of the complex factors lead to an exceptional level of satisfaction of both the directly engaged in the manufacturing process workers and the managerial staff as the ultimate results of the cost price,” explicitly stated Mr. Dimitrov. 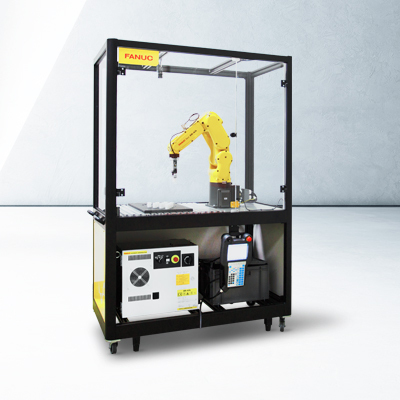 Relying on the good communication and negotiating conditions, TESY has also expanded its partnership with FANUC in the field of robotics, while during the last year the company has implemented two robots R-2000iC/165F into its production, and this year the company has invested in several additional FANUC robots. For the purpose of practical training of the employees on site, TESY has equipped its training ROBO Center with a special robotic cell FANUC Educational Package. “In addition to this, we would also like to make notice of the proactive and beneficial cooperation we got from the FANUC team at all stages of the project – testing, installation and after-sales service as needed. My hope is that in FANUC Bulgaria we found a long-term partner for our future projects!” concluded Mr. Dimitrov.